This Garden News may sound familiar! It’s been a month or so since our April issue, in which we suggested a few vegetables that love the cool moist days of spring, but here we are in late May and still experiencing weather that’s ideal for greens, brassicas, and alliums! The continued cool gray forecasts may be a little frustrating when we’d like to be setting out tomatoes and squash or sowing beans and basil. But we hope that like us, you planted spring crops early and are now enjoying crisp lettuces, tender greens, the first bites of broccoli, savory scallions, even sweet crunchy pea pods. It may be hard to tell, but summer is creeping up: days are getting quite long, nighttime temperatures are staying warmer, and it is time to start thinking seriously about the tropical garden vegetables. In the last Garden News, we previewed our new line of SuperNaturals Grafted Vegetables, favorite varieties grown on super-vigorous, disease-resistant rootstock. 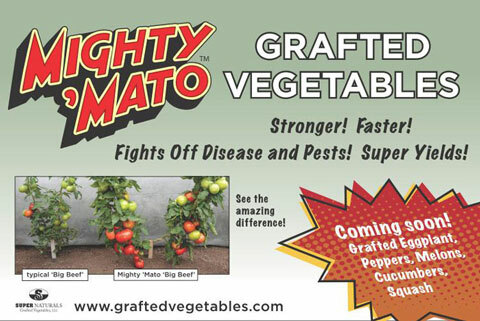 Now available are Mighty ’Mato Grafted Tomatoes in 3½” pots as well as our first ever shipments of SuperNaturals Grafted Peppers and Eggplants, both in 4¼” round pots. As we mentioned last week, grafting vegetables onto special rootstock lends the plants extra vigor, including disease resistance, faster growth, and tolerance of temperature extremes – all qualities that should help them thrive even in our less-than-tropical climate. So if you’re ready to set out tomatoes in spite of the cool weather, why not try a grafted tomato or two to increase the chance of healthy plants now and big harvests later? Check the wholesale availability on our website so you’ll know what to ask for at your local nursery this week. If you do get your hands on one of these super plants, let us know how it works for you. We’d love to get feedback (comments or images) about your experience – especially if you plant a grafted and non-grafted of the same variety side by side for a comparison. 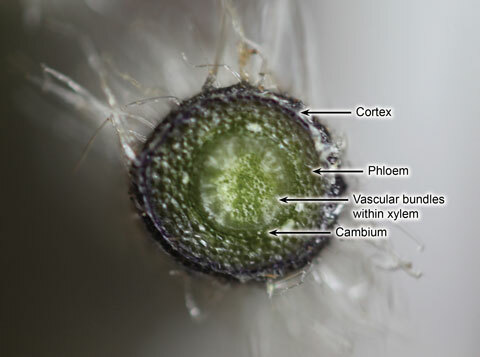 For more about grafted vegetables check out the photos, videos, and links on our grafting page. In the meantime, enjoy your spring salads, easy-to-pull weeds, and not having to water the garden! It’s not time to plant them just yet, but we have to mention our most exciting new project. 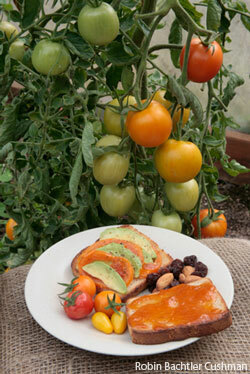 Our SuperNaturals grafted vegetables are big news this year! After rave reviews from the lucky gardeners who received them in our trial offering last season, we’re expanding the program for 2011. 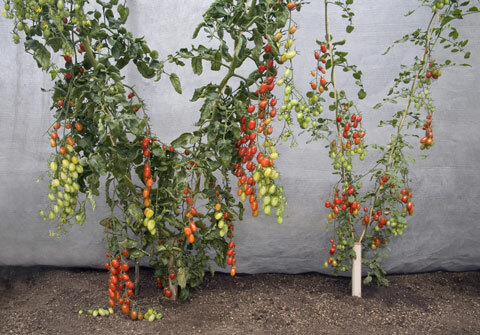 Like grafted fruit trees or roses, grafted vegetables are created by joining the top part of a desired variety (like ‘Brandywine’ Tomato) to a special, vigorous, disease-resistant rootstock. Already popular with market growers in Asia and Europe, we’re making these superproductive vegetables widely available for the first time to American home gardeners under the SuperNaturals name. First up is SuperNaturals Mighty ’Mato, an extra-vigorous tomato that goes above and beyond the call of duty, defending against pests, diseases, temperature extremes, and poor soils while producing early, long and abundant harvests of beautiful fruit! Double grafted tomatoes even let you grow two different varieties on one plant! Starting soon, gardeners in Oregon, Washington, and California will be able to buy Mighty ’Mato Grafted Tomatoes in 4″ pots, with gallons available in June and July. And remember you can link from our website to Green Gardening with Ann Lovejoy, a practical and entertaining blog with seasonal tips and musings about gardening in the Pacific Northwest.